COLUMBIA, Mo. 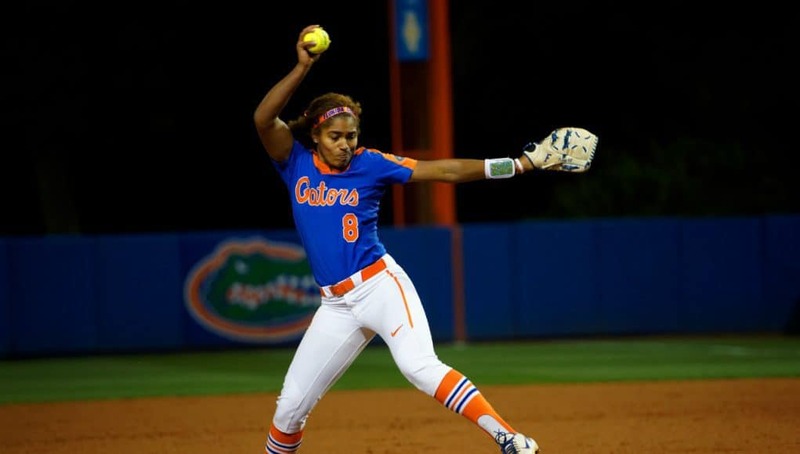 – The fourth-ranked Florida softball team defeated No. 13 Alabama, 5-2, in the quarterfinal round of the Southeastern Conference softball tournament held at the Mizzou Softball Stadium Thursday night. 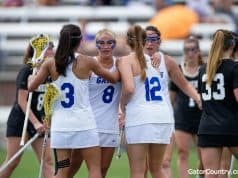 The Gators (48-8) produced its seventh come from behind victory of the season to advance to the semifinal round of the tournament. A pair of home runs produced by Amanda Lorenz and Aleshia Ocasio propelled UF to its second come from behind thriller against the Crimson Tide (33-18). Ocasio (19-6) came in relief in the sixth inning with the score tied, 2-2, and finished the game with two innings pitched and gave up only one hit. The St. Cloud, Fla. native played three defensive positions tonight as she started in right field, shifted to center field and finished pitching. Top 1st 0-1 Kaylee Tow drove in Elissa Brown from third on a groundout to second base. Top 1st 0-2 Callaway extended the lead out to 2-0 and scored Demi Turner on a SAC fly to center field. Bottom 4th 2-2 Ocasio tied the game with a two-run home run to right field that scored Janell Wheaton. Wheaton reached base with a four-pitch walk earlier in the frame. Bottom 6th 5-2 Lorenz blasted a three-run home run to complete the comeback. Ocasio led the inning with a walk and Sophia Reynoso registered a bunt single. The Gators drew nine walks in tonight’s game against Alabama. UF has drawn 35 walks through four games against the Crimson Tide this season. Two of the five Gators that crossed home plate tonight reached via leadoff walks. 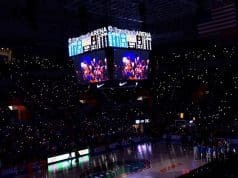 Florida closed down the all-time series lead against Alabama to 35-37 with tonight’s game. 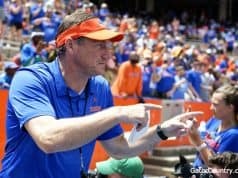 o UF holds a 10-3 edge in neutral site games. After tonight’s two home runs, the Gators have now had four-straight multi-home run games. Ocasio belted her fourth home run of the season in the bottom of the fourth inning to tie the game. o It’s her first home run since April 20, in the opening game of the series against Mississippi State. Matthews notched her second consecutive multi-hit game of the season going 2-for3 at the plate. o It’s her seventh multi-hit game of the season. Ocasio picked up her 67th career victory and now sits sixth all-time in career wins. The Gators advance to the semifinal round of the SEC Softball Tournament and will take on No. 7 Tennessee Friday, May 11 at 5:30 (ET) / 4:30 p.m. (CT) on ESPNU.